The implementation of the Australian Government’s first Digital Transformation Strategy is a step closer with the launch of a new whole-of-government platform, known as Service Connect, aimed at changing the way Government services are delivered. The launch follows the Australian Digital Council meeting in Adelaide earlier this month, where Commonwealth, State and Territory ministers considered a range of digital transformation priorities underway nationally and identified key data collaboration projects to improve services to the Australian public. The meeting was chaired by the Commonwealth Minister for Human Services and Digital Transformation, the Hon Michael Keenan MP. Jurisdictions are working together to take a holistic approach to designing digital services, and solving complex policy problems through Commonwealth-State data sharing. Ministers agreed Australia’s collective digital success could best be achieved by working together, collaboratively across all levels of government. They agreed to establish cross-jurisdictional teams to drive the delivery of two initiatives: streamlining registration process for the birth of a child, and the shared digital identity solutions. South Australia agreed to collaborate with the Commonwealth to make citizen and business interactions with government easier, with a memorandum of understanding signed by the two governments in Adelaide. This follows a successful pilot project to simplify how new parents register the birth of a child where governments use hospital records to automatically create a birth certificate, Medicare registration and potentially a Centrelink record. The meeting also considered the Commonwealth’s myGovID program, where people could verify their identity online. Minister Keenan said the shift to using reusable platforms would help deliver a more consistent user experience across all government services, regardless of which agency was providing that service. “This is why a digital platform strategy is essential to ensure government agencies have the necessary guidance to develop and adopt reusable platforms designed around the needs of those who will ultimately use them,” Minister Keenan said. “This is the only way we will be able to deliver services that are tailored to the needs of Australian people and businesses. “Service Connect is a strong example of a flexible, interoperable and scalable platform that will deliver a world-class experience to Australians and, at the same time, accelerate the transformation of services by removing the need for individual agencies to design, build, operate and maintain their own services from scratch. 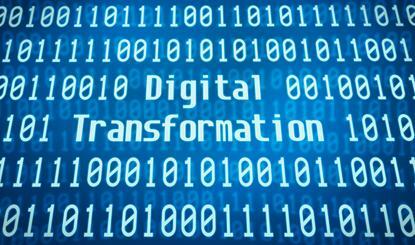 The new Digital Services Platform Strategy, developed by the Digital Transformation Agency, is one of the key enablers to delivering the Government’s overarching Digital Transformation Strategy. Both place strong emphasis on the protection of individual privacy and security. “The platform strategy makes it clear that security and trust must be built at the core of all platforms that we develop,” Minister Keenan said.